To clean machinery, vehicles or yards every day, you’ll need the HD 6/13 C Plus high performanc. High water flow and pressure rates ensure thorough cleaning results during long operating periods. 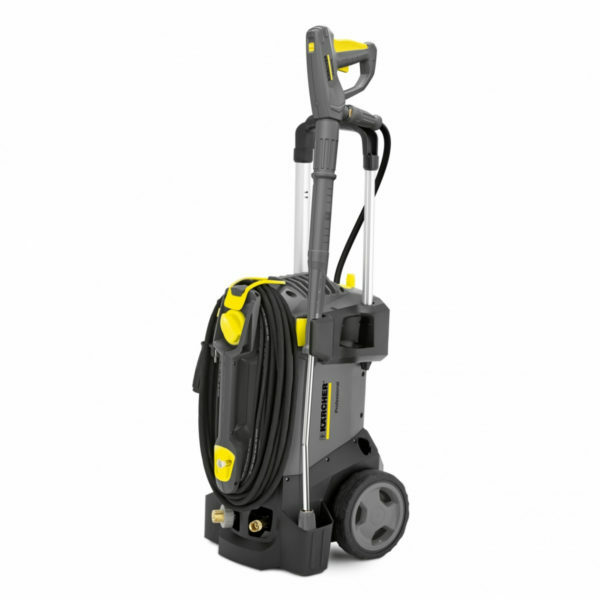 If you have to clean machinery, vehicles or yards every day, you’ll need the HD 6/13 C Plus high performance, mobile all round cold water High-Pressure Washer. High water flow and pressure rates ensure thorough cleaning results during long operating periods even with stubborn dirt. Thanks to their upright build, this unit takes up surprisingly little space and can be used and stored in the upright position. With a retractable handle, not only can users benefit from adjusting the height to suit their requirements, but can also collapse the handle for storage. Other features of this compact pressure washer include a rugged 3-piston axial pump for a long service life along with an automatic pressure controlled shutdown upon release of the trigger for low energy consumption, a triple nozzle providing optimum cleaning flexibility and effortless changeover of cleaning jets & a Dirtblaster nozzle for increased cleaning performance and larger area coverage.